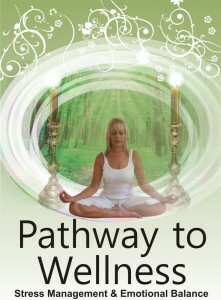 Pathway to Wellness is a self help book on attaining emotional balance in our world of tension. It teaches stress management and releasing of negative thoughts and emotions such as anger, depression, anxiety, grief and so forth. It is a passage to understanding our minds and emotions and how to use them to realize our full potential. It demonstrates how wellness includes that of our mind, body and emotions and the inter relation they have with each other on our wellness and success in life. It teaches how to use our mind and emotions in conjunction with our physical body to attain fulfillment and health. For many years we have believed that we are a human body living in a physical world and that is all there is and that our success and wellness relates to the physical body alone. We have also believed that we are not in control of our lives, destinies or health that only fate has full control of all aspects in our lives. Pathway to Wellness breathes hope, back into life and gives us the opportunity of a new attitude and a new life. Visit our service and workshop pages for details on workshops, retreats and Life Coaching on Pathway To Wellness and newly released Pathway to Success and Freedom. I found the subject matter in the first of her three-part trilogy to be both absorbing and inspirational. I think that what sets this ‘self-help’ book apart from so many others of a similar nature on the shelves, is the obvious passion that permeates each page, and the conviction and sincerity with which it is written. Jennifer is also courageous in revealing the personal challenges she had to overcome in her quest to discover meaning in her life, and her experiences give depth and substance to the story, and make the reader feel that ‘if she can do it, so can I’. Pathway to Wellness is a comprehensive treatment of using Kundalini yoga techniques to improve and maintain a balanced state of being. Jennifer’s revealing personal story draws the reader into her journey. She shows her pain and vulnerability, and recounts how she has transformed her life. Her straightforward telling helps me realise that is possible for myself and each of us to change our lives. She relates how stress is something for which we need to take personal responsibility. Chapter Two on the Wellness revolution shows that wanting to change ourselves is something that many people are doing and there is support when we embark on a journey for change. Jennifer’s pathway has strong spiritual basis, holistically entwined with our physical, mental and emotional selves. She describes this clearly with a useful description of the seven chakras. More than half the book is the section on yoga postures and breathing techniques, which are the fundamentals of her pathway to wellness. The techniques are clearly described so that you can follow them without other instruction besides the book – although clearly having a teacher and attending classes will be beneficial. The photos of Jennifer doing the yoga postures are a testament to how well she is. They have been annotated with arrows to aid your personal practice at home. If you are not able to attend classes or want some help in between classes, you will find this section can be your guide. It is a stand-alone section even if you don’t read the other chapters. Of course your practice will be enhanced with more thorough understanding of the yoga as described in the other chapters. The final chapter is called Taking Action, and is full of helpful suggestions that again make me realise that I too can change my life to be what I want it to be. The suggestions range from doing positive affirmations, to journaling, to how to timetable yoga practise into your life, and how to practically change your diet. I would recommend this book if you are beginning to think about making some positive changes in your life, or are already on the pathway to wellness and want a guide along the way. An inspiring book that follows the authors process and journey from successful business woman to a victim of mental and physically abusive relationships to well respected and admired health, wellness and yoga instructor. Her path to peace is not simple or short or a quick fix solution. Jennifer takes you on a journey that needs to be appreciated every step of the way. Her lessons printed at the end of this book enable you to let go and accept your full spectrum of emotions, getting to know yourself again allowing you to make mistakes along the way. After all, the main focus of this book is to make you understand you are part of a much bigger picture. And most importantly, you have to realize that only you have control over your emotional responses and reactions and they can be changed for the better. So it’s also down to you to make sure you purchase this book and change your life just like I have. 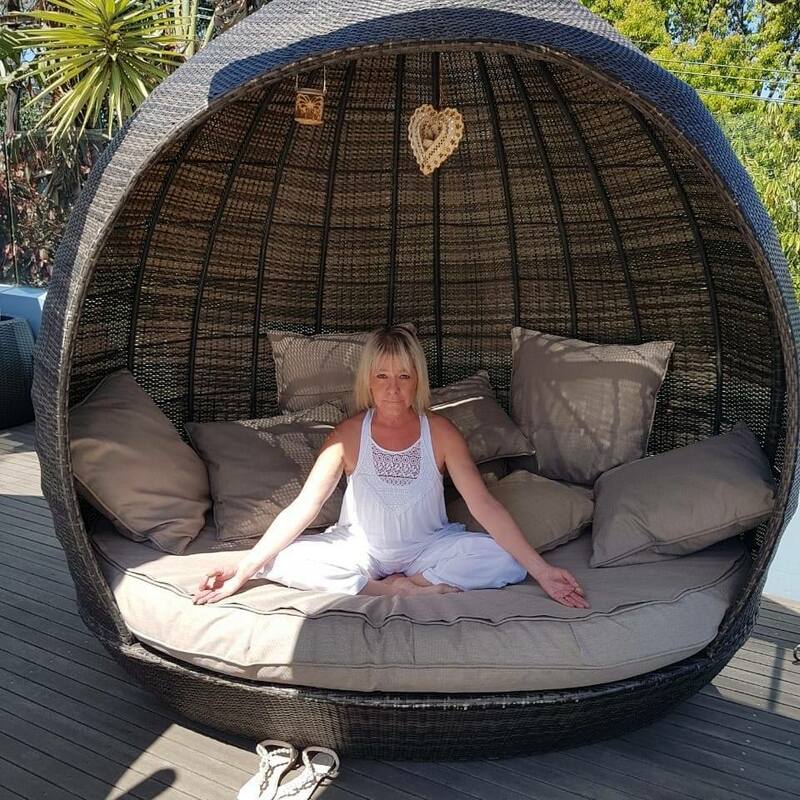 Laura van Niekerk – Freelance writer and yogi in training! For a long time I felt like I was a stranger to my own body & then I joined your yoga classes. From then onwards I learnt to appreciate my body & work with it to find the balance I so desperately needed in my life. When you launched your book & I read it, I just knew that another miracle was about to happen in my life. I have dealt with a lot of ups & downs recently and when I feel a little low I reach for your book & read it again. It has a special place next to my bed so its the 1st thing I see in the morning & the last at night. I no longer suffer as badly from migraines and have applied your guidelines & wealth of knowledge to help me through the stressful times. I cannot THANK YOU enough for transforming my life. Can’t wait for the new books, and more! I have read your book “Pathway to Wellness” and have related and gained a wealth of information from it. I am interested in publishing my own book and was wondering if you could advise me accordingly. please assist.